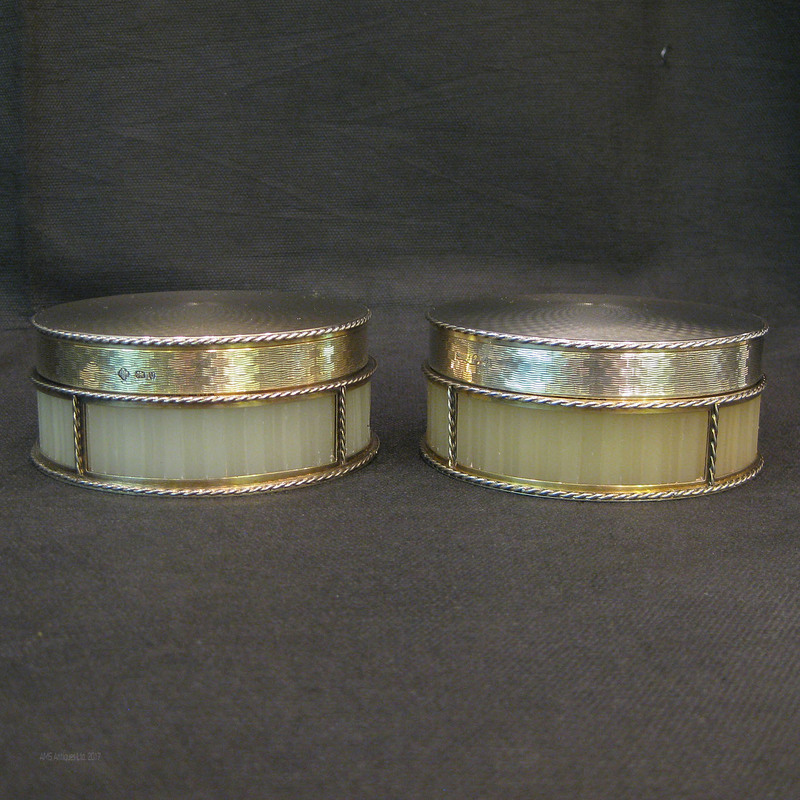 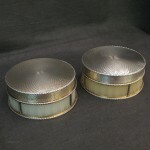 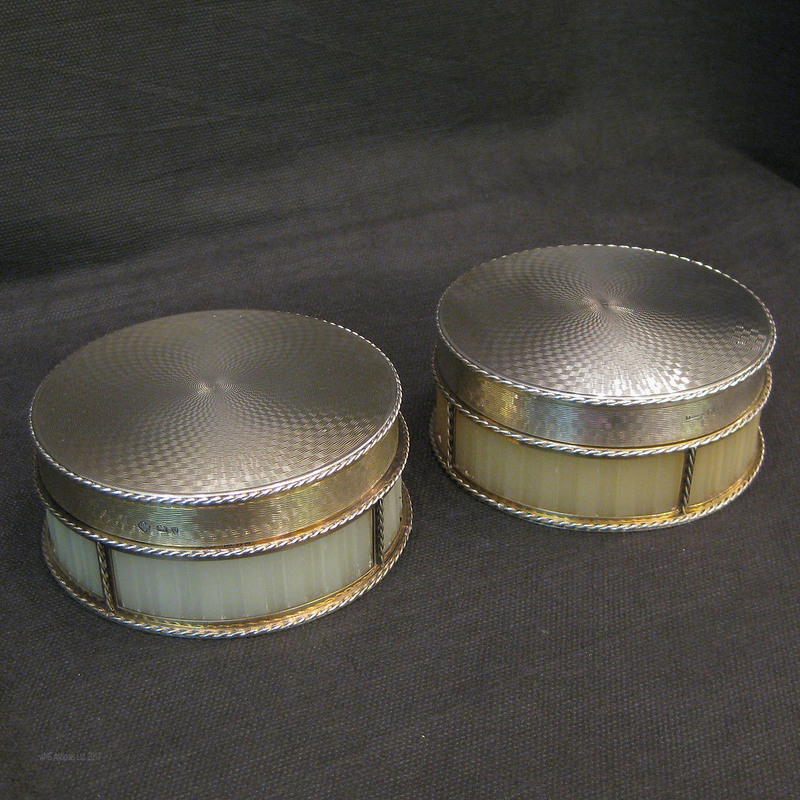 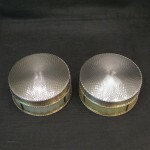 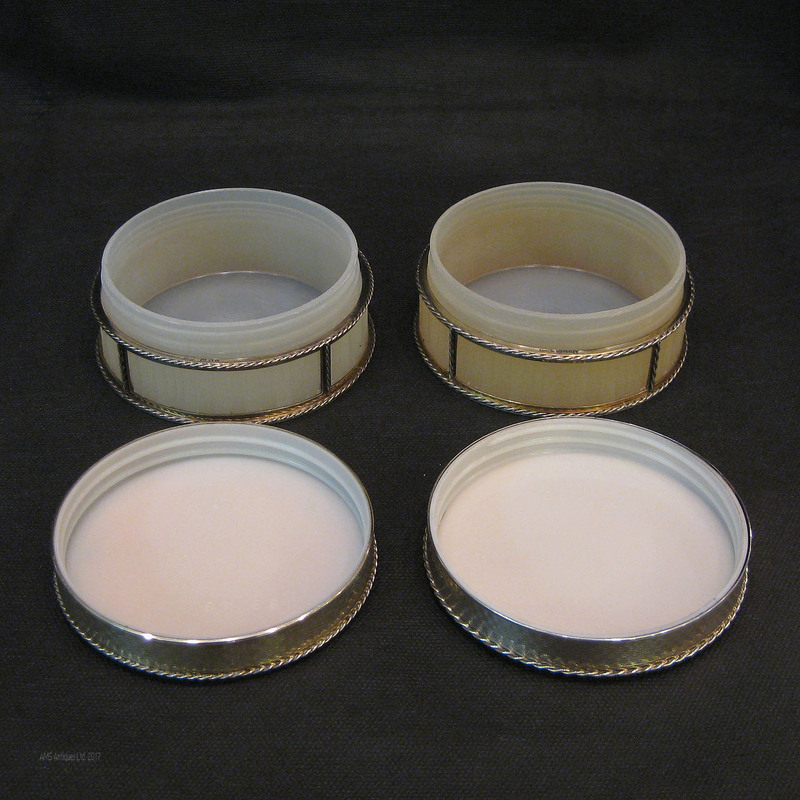 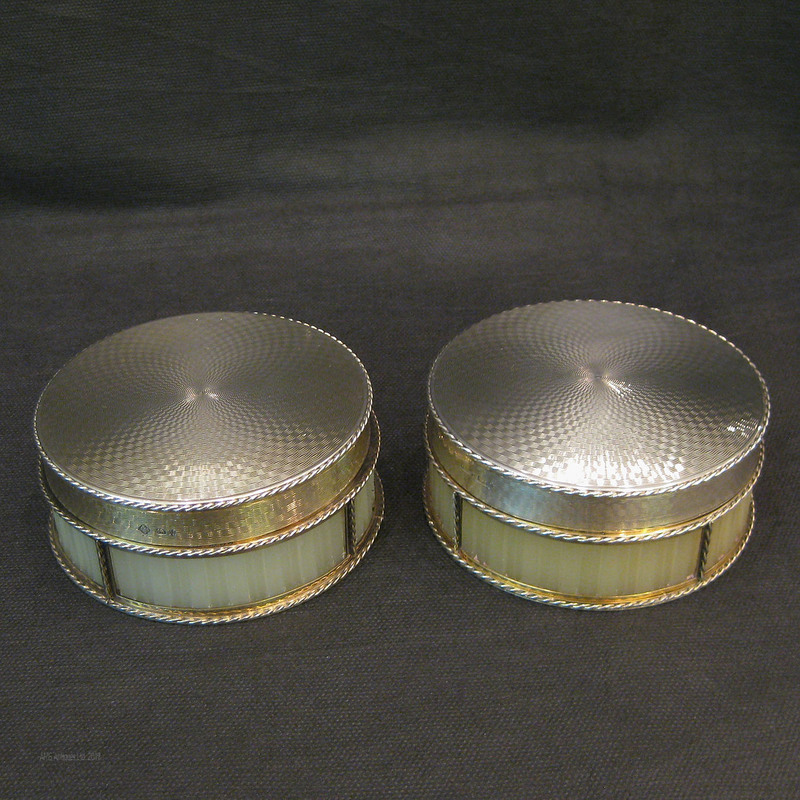 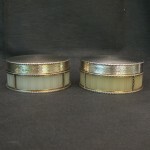 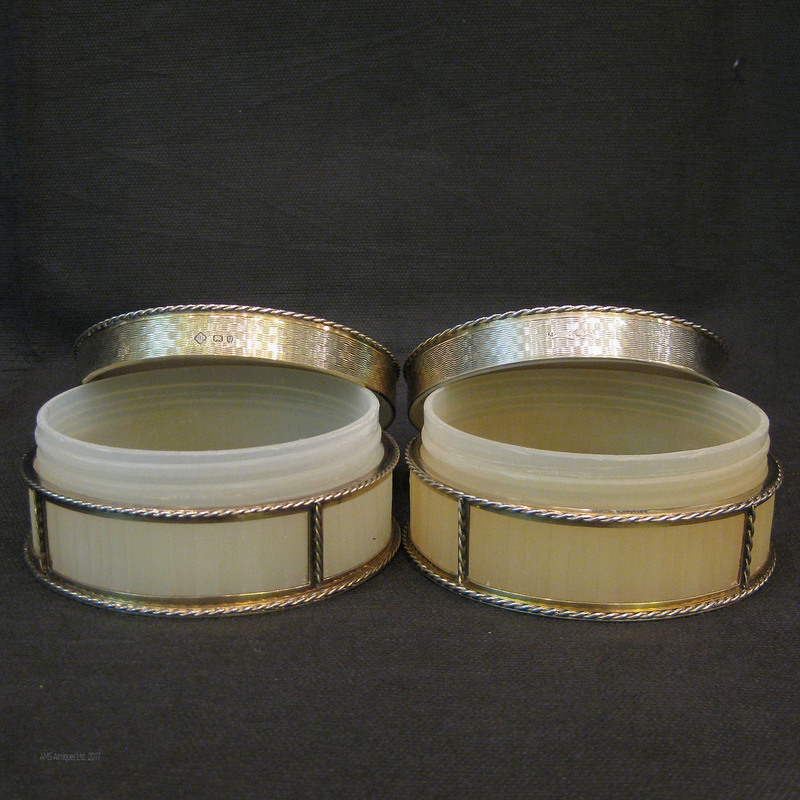 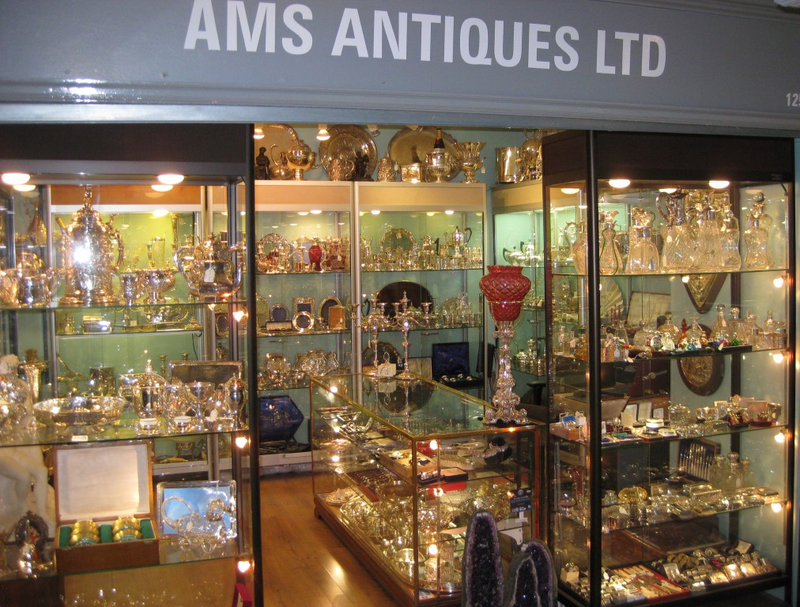 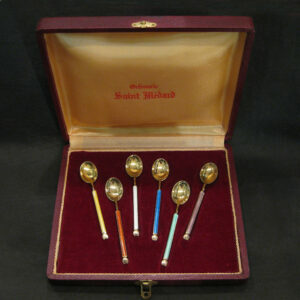 Made by Asprey in London in 1953 featuring a neo-classical design with guilt silver and alabaster coloured containers. 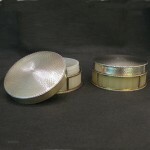 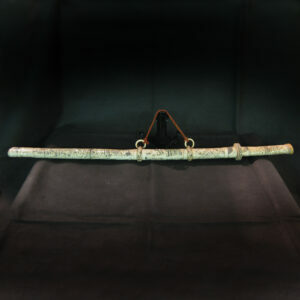 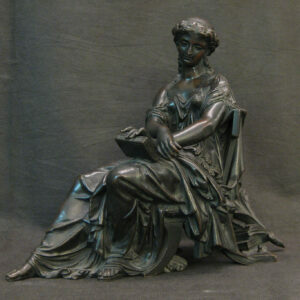 Measures 10cm diameter and stand 4cm tall. 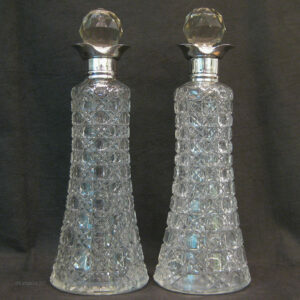 Silver topped pair of decanters.